QuarryHouse worked with Ike Kligerman Barkley and The Wiseman Group to bring this lush English garden to life. Inspired by their travels, the owners of this home wanted a Cotswold garden in every aspect of the design. 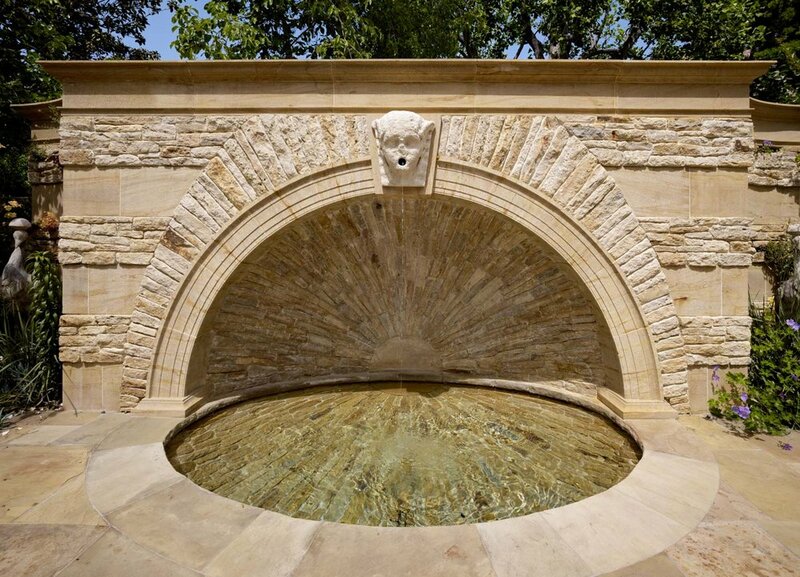 The QuarryHouse team sourced honey-colored stone for the radial fountain, veranda columns, and raised-edge pool. A concave wall sits adjacent to the water fountain with both large and small stones, creating a rich palette that is carried throughout the garden. Reflecting the craftsmanship that was championed during the British Arts and Crafts movement, this romantic cottage oasis is a work of art.